Your company may have an awesome website. You may have a team of talented writers to create industry-specific content for you. You may have already tried various marketing techniques. But you still see clients slipping through the cracks. What could you be doing wrong? It could be that you’re using techniques that do not address your business’ needs, but definitely, it’s the result of poor strategizing. The New Perspective team makes sure no prospect slip from your grasp by formulating a powerful strategy that’s aligned to your business goals. New to digital marketing? No problem. We have experienced marketing strategy consultants who can help you build a potent marketing plan from the ground up. We start by learning your business, your target market, and your industry. From there, we identify the techniques that will prove effective in building your online presence. What is your specific business goals? How can you accomplish these goals in the most effective and efficient way possible? How can you measure the success of these strategies? 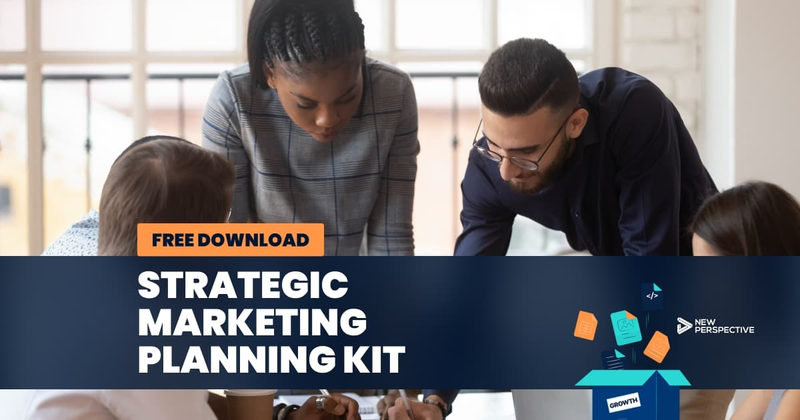 At the end of the Game Plan process, you will have a tailored roadmap that details all the marketing elements that need to be incorporated into your campaign. 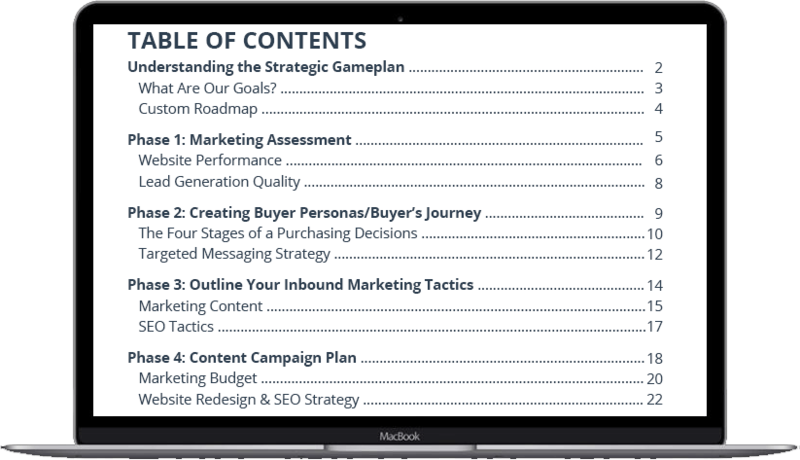 This comprehensive roadmap zeroes in on the pain points of your existing marketing and the best ways to address them. Every item in your roadmap is measurable, so we know how to augment the techniques that have been previously deployed. We make these results visible to you. 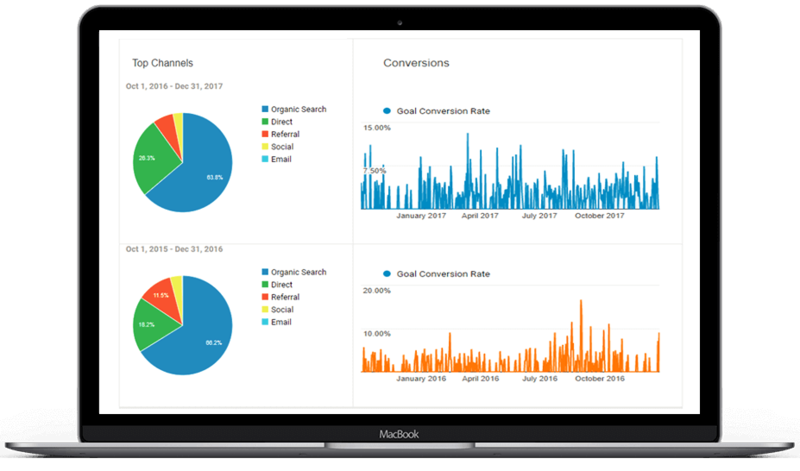 We present you with bite-sized data, so you can better understand how your campaign is performing, from the volume of visitors you’re receiving to your ROI. In a local market where you need to contend with many other businesses, it’s much more difficult to stand out. New Perspective helps you rise above your competition through a Strategic Game Plan. The Marketing Assessment Process is crucial part of crafting your Strategic Game Plan. Our Marketing Assessment Process is developed through years of experience. With help from our in-house digital marketing strategists, we were able to come up with a unique, four-step process that enables us to identify your strengths and weaknesses. From there, we eliminate techniques that don’t deliver and fortify those that work for you. Is your site slow to load, a maze for search engines, or confusing for users? How well does your site convert visitors into leads? What insight can we learn from your competitors? 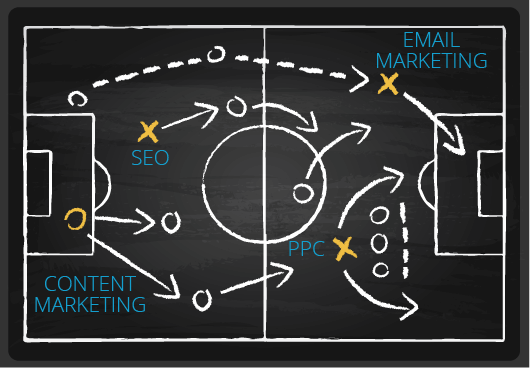 You can’t create a successful inbound game plan if you try to market to everyone. We’ll work with you to assess the right customers to focus on reaching your specific goals. Buyer Personas - Representations of your ideal customers, what they are struggling with, the triggers that cause them to act, and what questions they are asking. 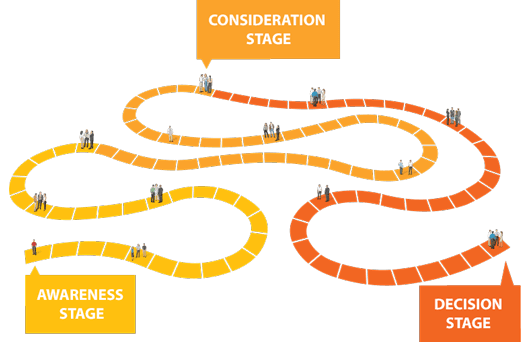 Buyer’s Journey- The four stage path your prospects take before they make a purchasing decision, covering Awareness, Consideration, Decision, and Customer. Targeted Messaging Strategy - Focused strategy to position you to best answer your ideal customer’s questions and define why you are the best company to solve their problems. When complete, you’ll receive research-based buyer personas, a detailed outline of their buyer’s journey, and a complete strategy for reaching that audience with focused marketing tactics. Now that we’ve determined what your assets are and who your customers are, what strategies will we use to attract the right people to your website? How will we get them to stay and how will we convert them into leads? Marketing Content - The correct mix of blogs, videos, ebooks, social media and other marketing content to best target your buyer personas. 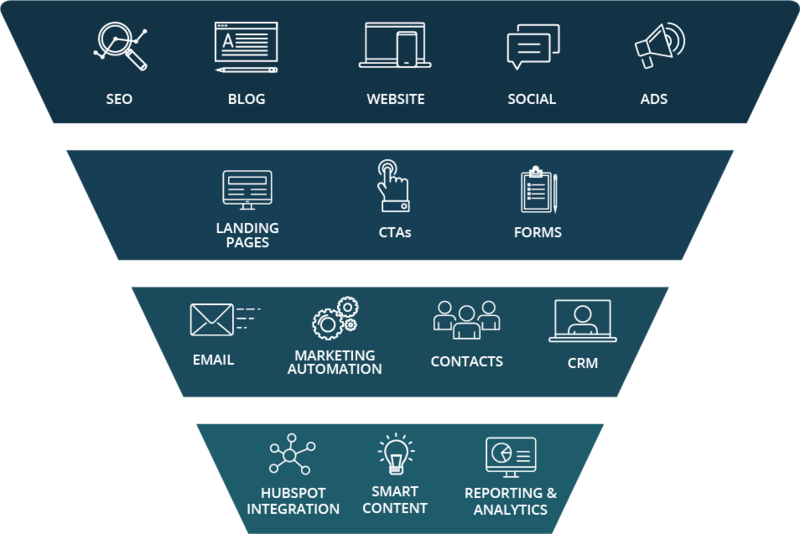 Marketing Automation Solutions - We combine our expertise in marketing software and strategy with your buyer’s journey to outline the best systems and solutions to deliver a personalized experience to your website visitors and leads. Search Engine Optimization - How important is getting found to your inbound marketing strategy? We’ll outline the specific tactics needed to increase organic traffic. Paid Search Advertising - We’ll use our advertising expertise to supplement organic visitors with paid traffic to improve how your inbound marketing is targeted to the right audience. Once our teams are aligned and we have a thorough understanding of your marketing needs, we will build out a campaign plan. This strategy will provide you with budget, expectations and a timeline. What marketing deliverables will be provided to you, and when? Marketing Budget - Recommended budget options to help hit your business goals. Content Calendar - Suggested content deliverables to execute your inbound strategy with specific timelines for publishing each piece. SEO Strategy - Using keyword research we will target the specific SEO strategies to realize your goals for improving search visibility. Website Redesign - We’ll work with you to create an action plan by creating user flows and mapping out your desired website architecture. Our developers will work to implement a solid SEO strategy and our graphic designers will create branding you can be proud of. Building a strategy before implementing a website redesign will ensure that the process goes smoothly. Learn more about why a website redesign should be part of your digital marketing strategy. Additional content campaign plans based on your specific goals.